Downtown Charleston is an iconic destination whose fame predates America’s independence. From its complicated past to its complimentary present, Charleston majestically marries ancient architecture with current culture. In fact, Travel + Leisure magazine recently voted Charleston the number one city in the world and the friendliest city in the nation. Residents living in downtown Charleston range from the well-heeled, affluent socialite to the starving, talented street artist. 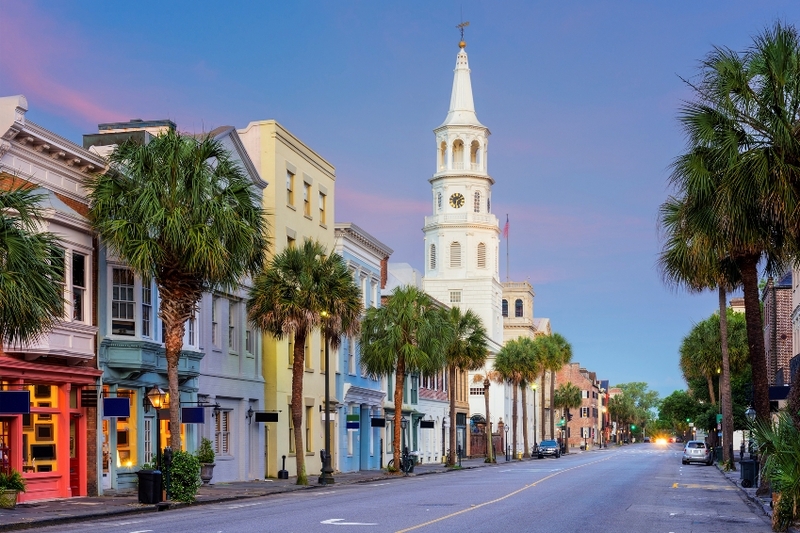 Albeit on a much quainter scale, Charleston is similar to New York City in that downtown neighborhoods each possess their own personality. Of course, the common thread of all downtown Charleston neighborhoods is that they proactively preserve the historic homes and vehemently protect against mega commercialization. 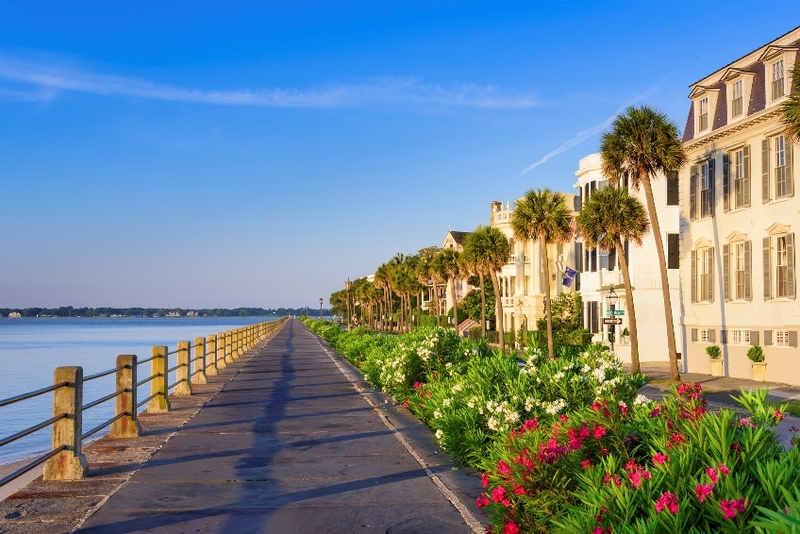 At the tip of the peninsula, stately homes along Charleston’s Battery, Church Street, Colonial Lake, and all the cobblestone streets South of Broad are the most expensive and prized treasures of real estate some of which dates back to the mid 1700’s. Here, horse-drawn carriages have the right of way as they carry tourists along Charleston’s historic landmarks. A quintessential and quiet area, the South of Broad mansions range in price from $2 million to more than $10 million. One and two bedroom condos or carriage homes begin in the low $700s. Waterfront estates South of Broad offer direct views of Fort Moultrie and the Sullivan’s Island Lighthouse. Facing the Cooper River, the neighborhood of Ansonborough and Mazyck-Wraggborough boast waterfront property with view of Fort Sumter, Patriots Point, and the Ravenel Bridge. On the west side of the Peninsula, swanky new neighborhoods like Harleston Village are the perfect fit for families who want a suburban feel in a downtown setting. Another family-friendly area is Wagener Terrace, a traditionally older neighborhood that has recently witnessed an influx of younger families who purchase with intent of renovating the interior of the home. College of Charleston students typically enjoy the condos, townhomes, and Charleston single homes in the Cannonborough / Elliotborough or Radcliffeborough sections, which skirt around Charleston’s hub of hip restaurants and bars. The up and coming section of NoMo (North of Morrison) presents homebuyers the opportunity to purchase a Charleston single home within walking distance to popular restaurants such as Taco Boy, Lewis BBQ, Home Team BBQ, and Leon’s Oyster Bar. Further inland, Charleston’s little sister, Summerville, boasts a historic downtown district and maintains a small-town allegiance. Though the outskirts of Summerville have grown tremendously, the azalea-lined, Antebellum-style homes and businesses on Main Street have remained unchanged. 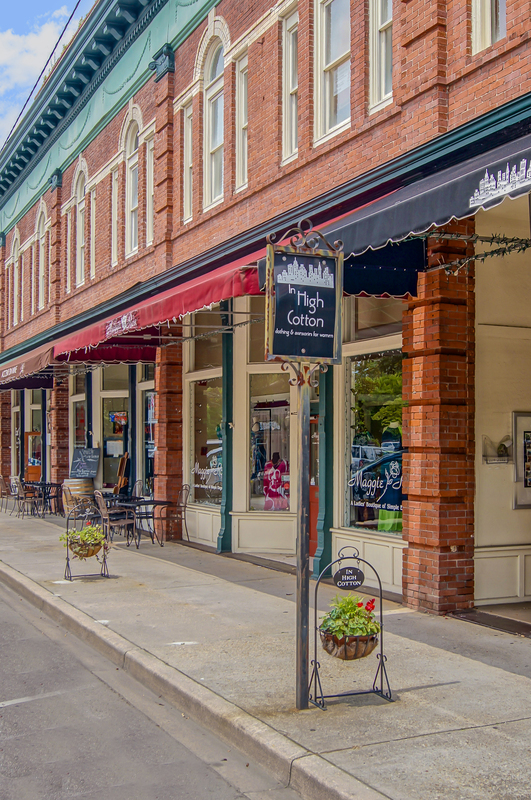 On Saturdays, downtown Summerville residents enjoy walking to the Farmer’s Market for breakfast, stopping by South Carolina’s oldest pharmacy, Guerin’s Pharmacy (1871), for a root beer float, and then heading to Simmons Barber Shop to talk about Friday night football. Located between downtown Summerville and downtown Charleston, Hanahan is another popular urbanesque lifestyle. With recent improvements to Park Circle, residents in nearby neighborhoods such as Oak Terrace Preserve, Horizon Village, and Graco Park are able to walk to dinner. Park Circle is quickly becoming a trendy spot for Millennials, who appreciate the eco-friendly design and new construction, green homes. Additionally, Park Circle development is convenient to downtown Charleston, Mt. Pleasant, and the Charleston International Airport.